Product information "SRAM X-Sync 2 Eagle Oval chainring black"
Since day one, SRAM has been dedicated to providing riders with component options that fit their own individual riding style. It's undeniable that some riders' pedaling styles benefit from oval chainrings, so we've engineered the new X-SYNC™ 2 Oval chainrings to give them the advantage they want. They are the only oval option available with our genuine X-SYNC™ 2 teeth profile, so they are the only oval chainrings on the market that are 100-percent optimized for Eagle. More options. X-SYNC™ 2 Oval. Only from SRAM. 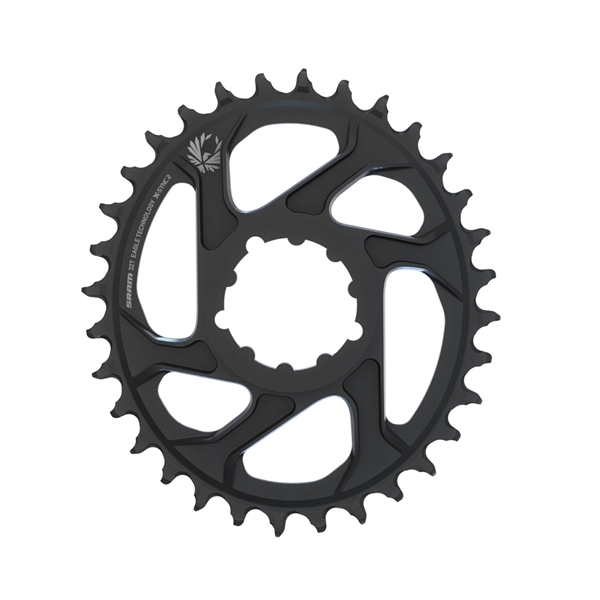 Related links to "SRAM X-Sync 2 Eagle Oval chainring black"
Customer evaluation for "SRAM X-Sync 2 Eagle Oval chainring black"